Whether you’re a developer, property manager or house “flipper,” you’ll most likely require capital to fund your real estate venture. All businesses require some upfront capital, but real estate is particularly capital-heavy. Without capital, you won’t be able to buy or fix up properties. Today we’ll take a look at how to raise private capital for real estate ventures. How to Raise Private Capital for Real Estate? One way to fund your real estate venture is to use personal cash. Some entrepreneurs may turn their head at the thought of using their own savings for a business, but this is actually one of the most common forms of small business funding. The problem with using personal cash, however, is that you may or may not get it back. If your real estate venture is a success, you can pay yourself back. If it goes under, though, you may have to write it off as a loss. Of course, you can also seek a traditional business loan to fund your real estate venture. According to a report by the U.S. Small Business Administration (SBA), business loans account for more than half of all small business financing. Banks and other financial institutions may loan you money if they view your business as having a low risk of defaulting. To determine this, they’ll look at various factors like your business’s credit history, your personal credit history, business revenue, projected revenue, how long you’ve been in business and more. Perhaps the most beneficial funding option for real estate ventures is a hard money loan. Hard money loans are a type of asset-based financing in which a private investor or group of investors offers a real estate business a short-term loan. Being that it’s asset-based, however, hard money loans require collateral to secure, the most common of which is real estate. If you want a hard money loan, you’ll need to real estate property to secure it. 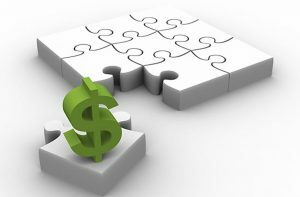 As a benefit, this also means that hard money loans are easier to obtain. Since they are backed by collateral (real estate), investors are more willing to issue hard money loans to entrepreneurs with little-to-no credit or bad credit. While hard money loans aren’t used exclusively in real estate, they are commonly used among real estate entrepreneurs.